Maximize your time in Kentucky and plan an urban adventure to a bourbon distillery not far from the city. Join Mint Julep for a morning or afternoon tour - or make it a double and do both for a discounted price! We take care of all the planning, reservations and coordination so you can sit back and relax. 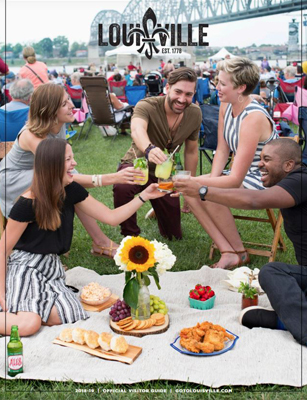 Urban Adventures venture into Bourbon Country every Thursday from June to October departing from the Mint Julep Gift Shop in the Galt House Hotel in downtown Louisville. Departs at 9:15 a.m. and returns at 12:15 p.m.
Departs at 1:45 p.m. and returns at 4:15 p.m.
Departs at 9:15 a.m. and returns at 12:15 p.m. Take a break at the Galt House and then depart at 1:45 p.m. and return at 4:15 p.m.